What is RSS and Why Do You Need It? To receive new articles in your email inbox, enter your email address below and click the Submit button. What is that Funny Icon? The icon that looks like a volume button is actually a link to the page where you can subscribe to a blog’s ‘feed’ via an RSS Feed Reader or Email. It was originally designed in orange, but as you will notice, some blogs get creative. 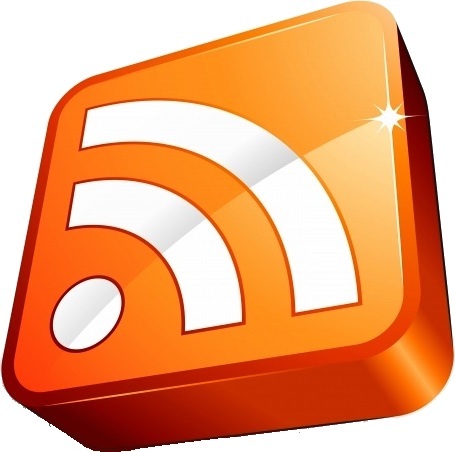 Click To Watch The Video Below That Explains RSS Feeds in Plain English. The video is the masterful work of The Common Craft Show. Please visit their site for more DIY and Instruction in Plain English. How Do I Subscribe To The Feed? 1. If you have a feed reader (see below if not) and you want to subscribe, just click the icon. 2. If you want to get the feed via email, just type your email address in the text box near the icon designated for email subscriptions. In plain English: You tell Feedburner your blog’s web address (URL) and it creates a feed for you to advertise on your site. It also allows people to subscribe to your feed, and helps you manage the way that feed is received by your subscribers. What RSS Feed Readers Do You Recommend? What Happens When I Subscribe via Email? 1. You will need to approve the subscription to the feed by responding to the email that was just sent to your inbox. 2. You will begin to receive either headlines, excerpts, or entire posts in the form of a standard email. Emails will arrive at a rate dependent on frequency of blog posts and frequency of RSS delivery (normally same day). 3. You always have the option to unsubscribe or change the subscription to a RSS News Reader so as to keep the articles out of your already cluttered inbox. Why Is It On This Blog? By clicking on the icon and adding this blog as one of your blog feeds, you will be able to browse through our headlines, ensuring you never miss an article.